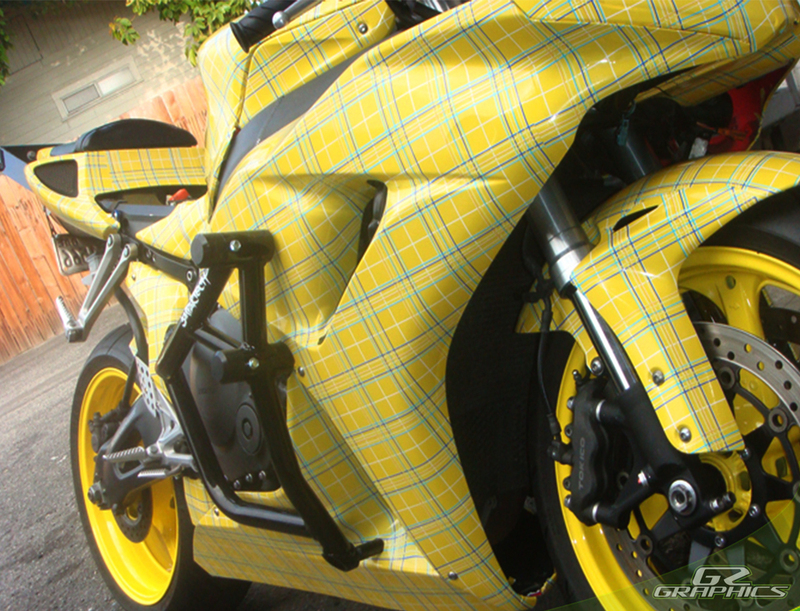 Why paint it when you can wrap it? 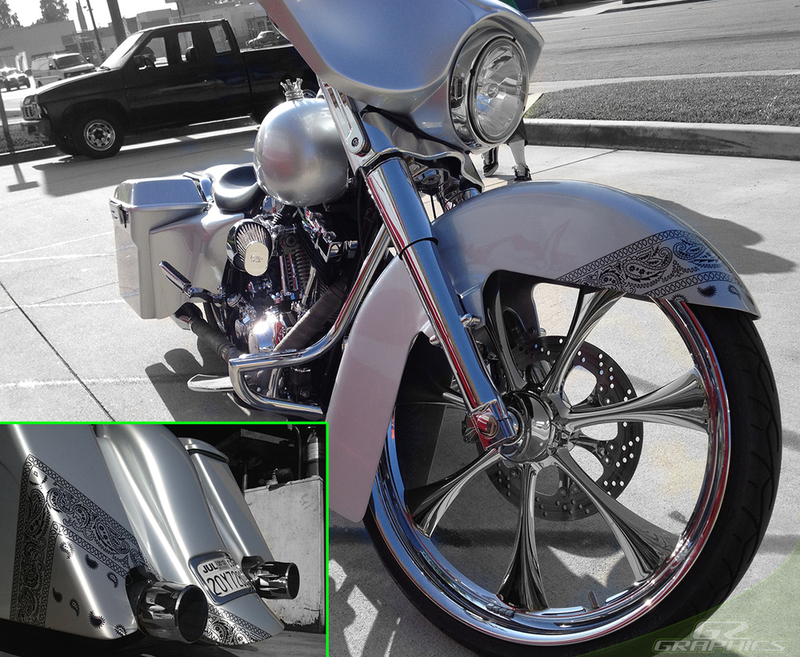 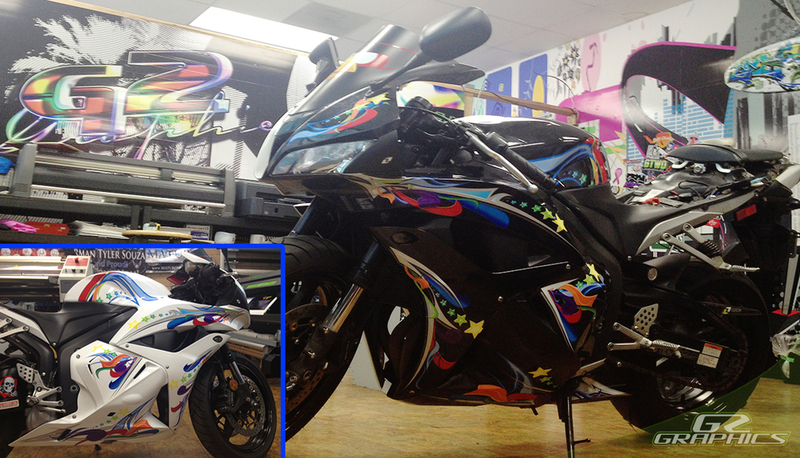 Full color wraps allow you to incorporate your own style into a custom design that will transform your bike into a one of a kind piece of art that's sure to make an impression. 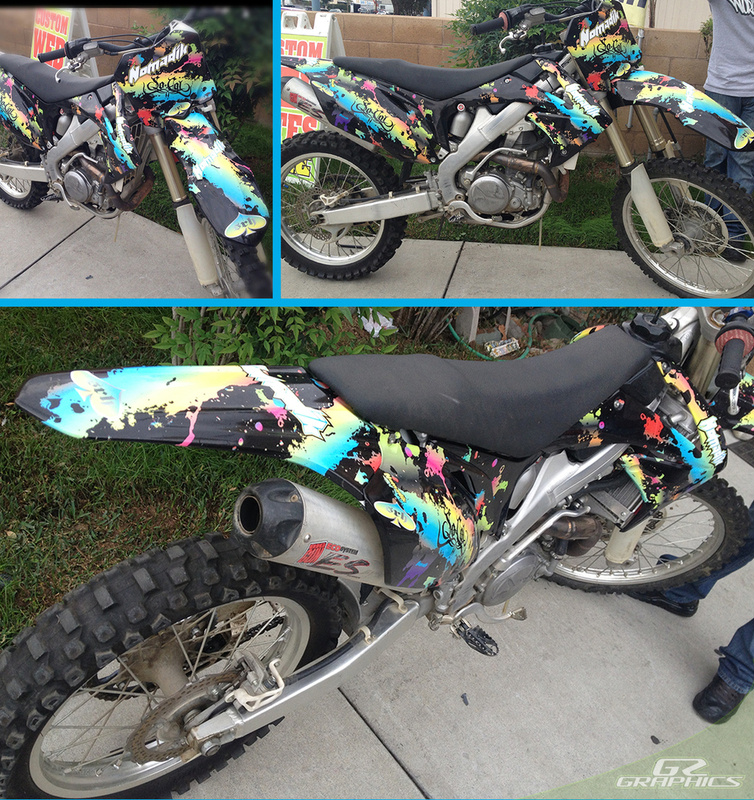 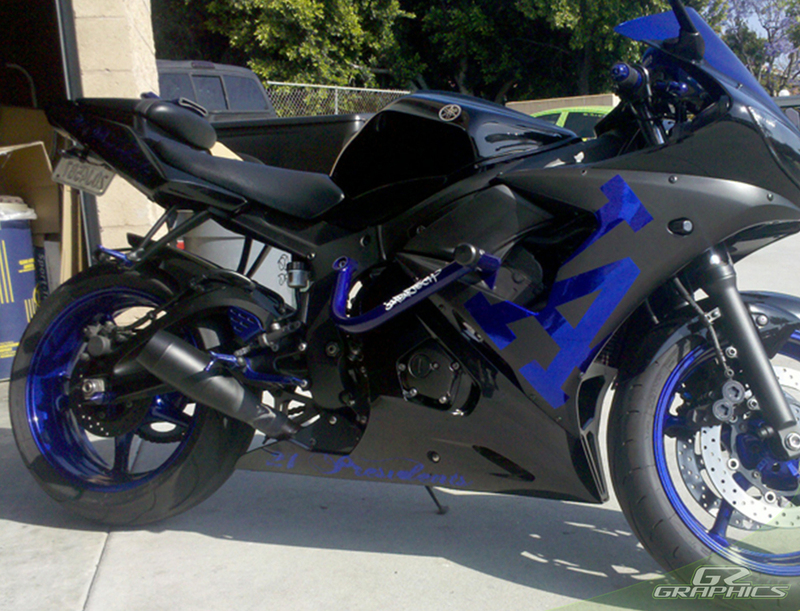 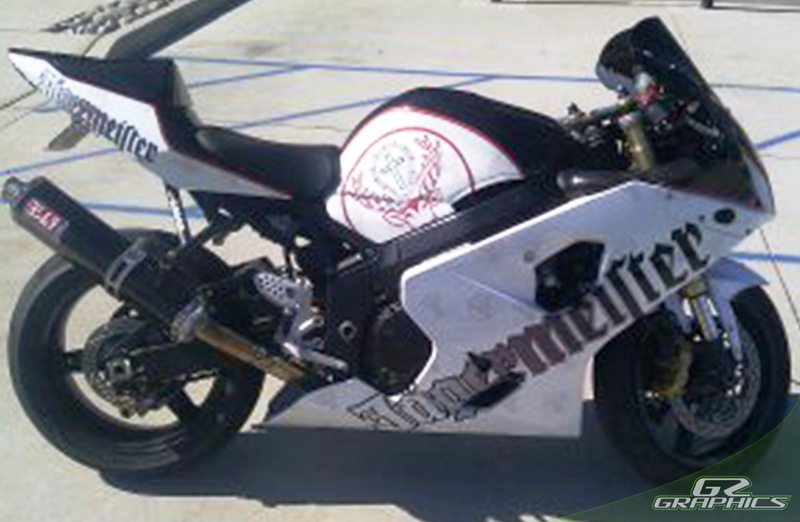 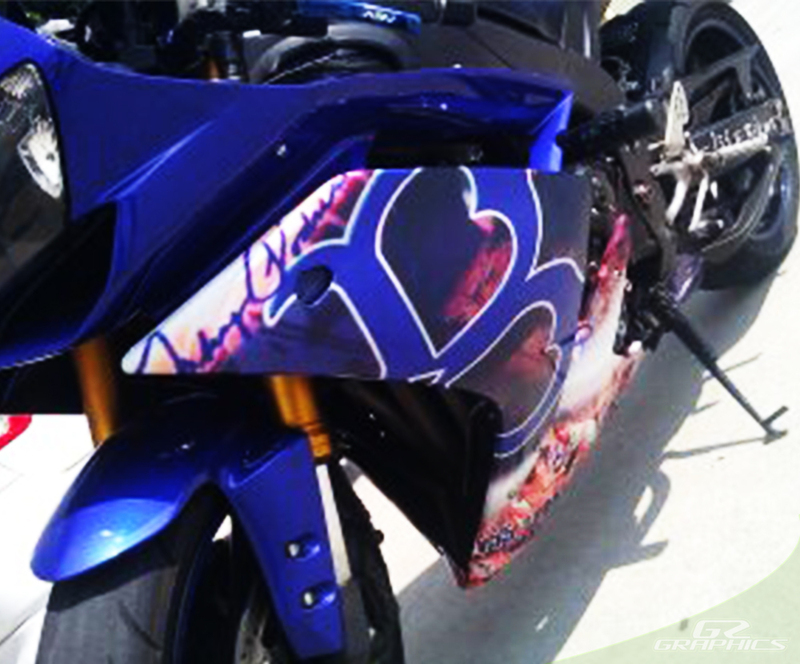 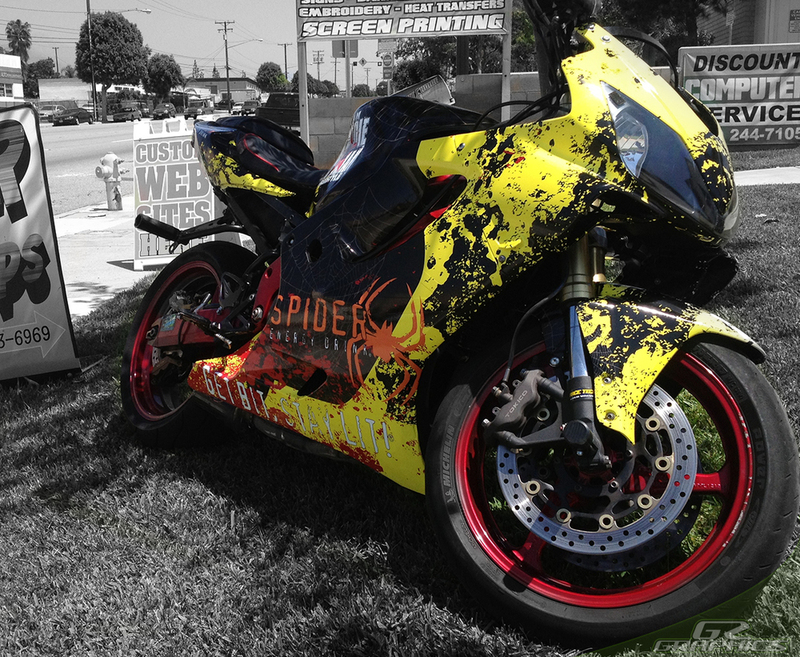 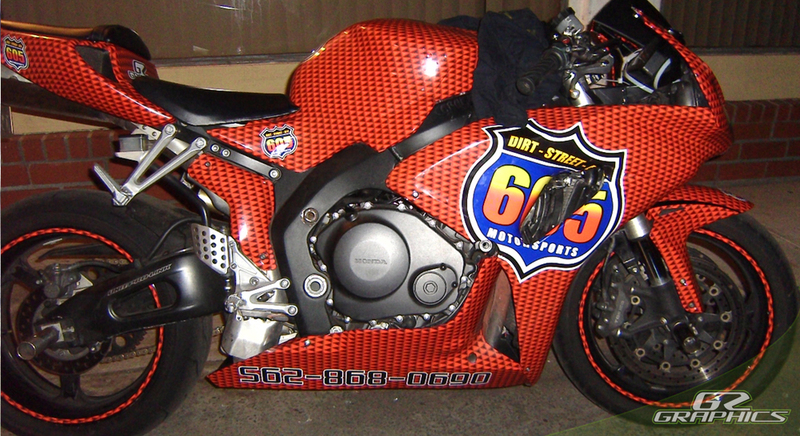 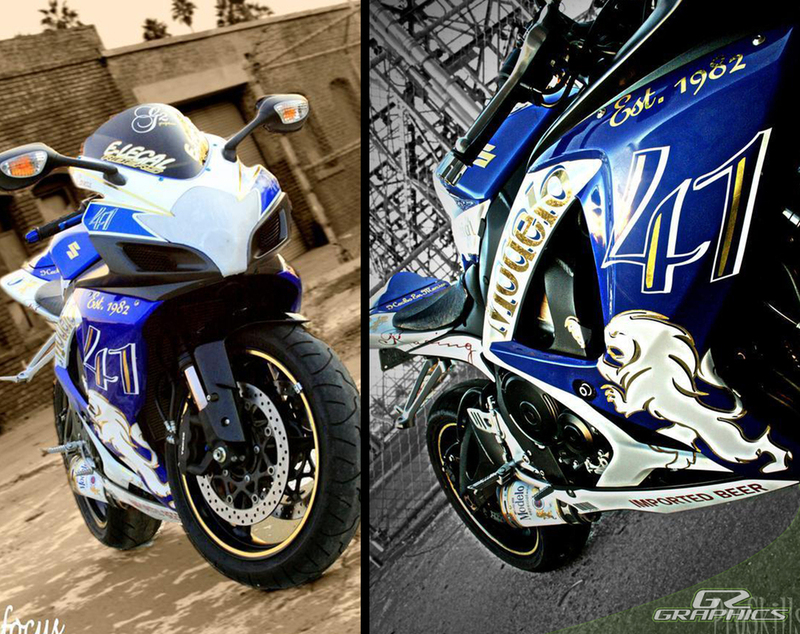 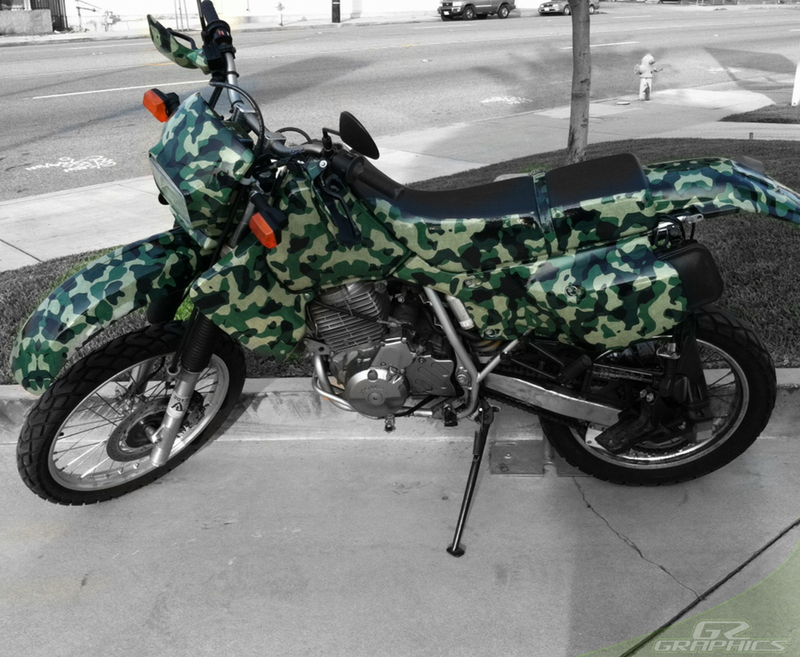 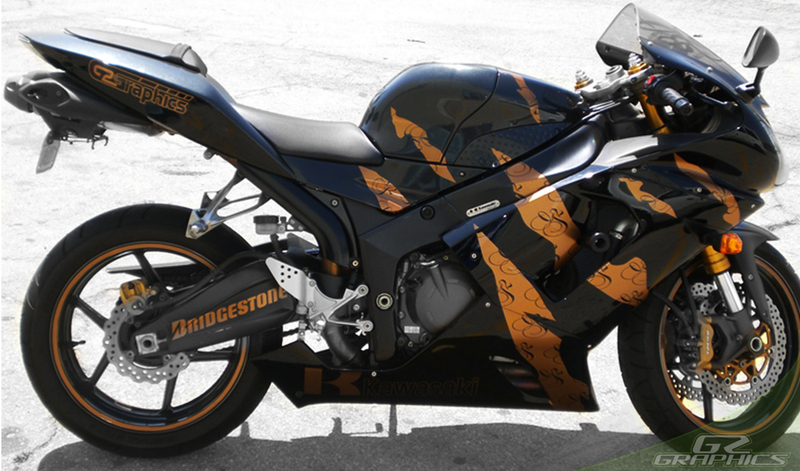 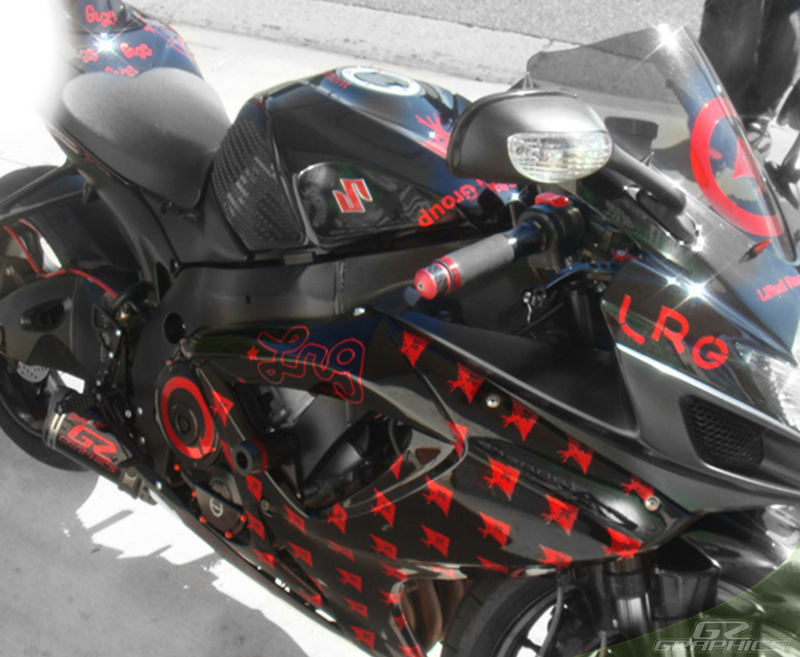 The full wraps we offer aren't like other decal kits where your bike has to be one base color either. 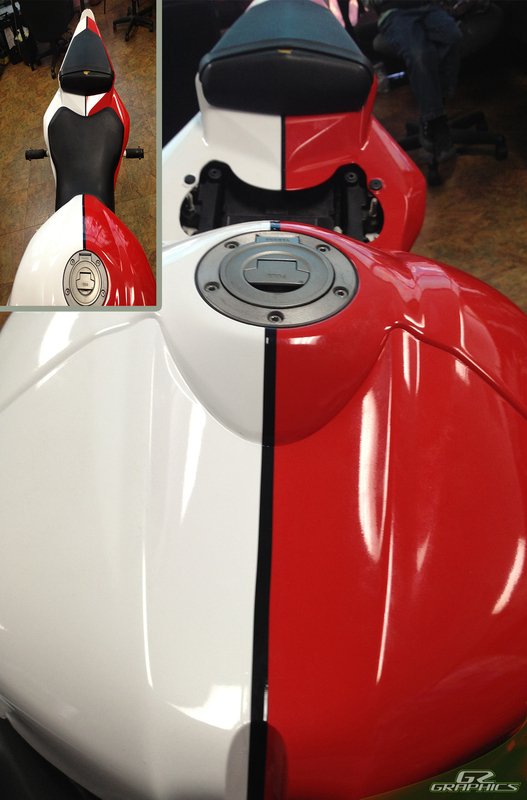 They cover the entire body of the bike so it does not have to be painted a base or primer color first. 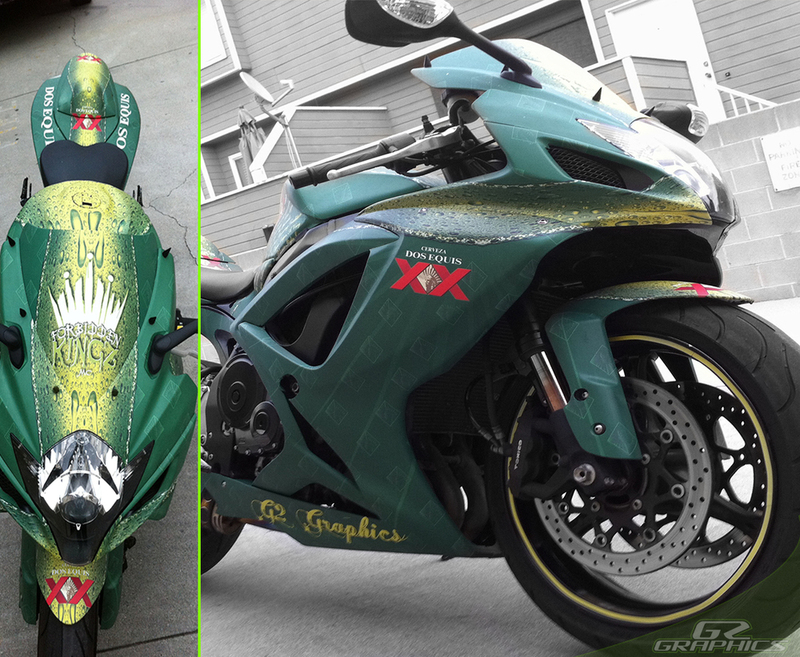 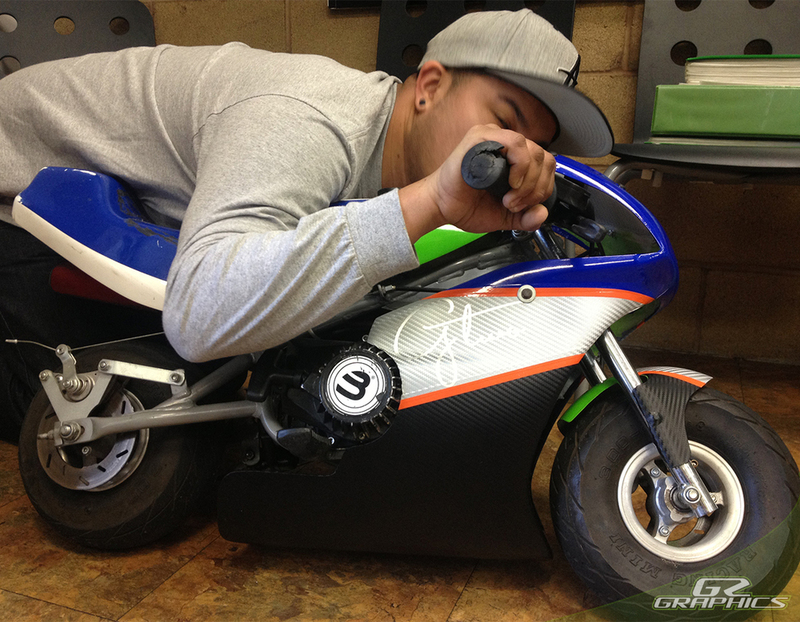 We can wrap any size or shape bike since the design process includes setting up a custom template to fit any type of motorcycle you may have.